SigPro generates various noise sources or sine waves and plays WAV files at the desired sound pressure levels. Up to 8 independent sources can be generated real time of either pure tones, white, pink, red, full or 1/3 octave band-limited noise. WAV files of any sample rate can be looped to the desired length. The Sound Quality Analyzer (SQA) from Nelson Acoustic Software conducts psychoacoustic sound quality analysis on standard audio WAV format files. SQA is a low cost, easy to learn to use, sound quality analysis tool for use with product and equipment noise emission recordings. Our preferred form factor for laboratory measurement systems and high channel count systems. The National Instruments PXIe-4464 is our standard data acquisition card for laboratory sound pressure level measurement and sound power level determination of low noise products. It is also used for high speed time waveform recording for our impulsive measurement applications. The best selection for very high channel count systems that require analog gain to accomodate low voltage transducers. A low cost solution for digital I/O and reading analog sensors. cDAQ chassis offer a wide variety of configurations from high channel count to wireless connectivity. A low-cost, four-channel data acquisition module that can be mounted in a CompactDAQ chassis. Used in laboratory acoustic measurements and for measuring quiet products (less than 30 dBA). Like the 46AE, but built to withstand extreme conditions. For low cost measurement systems for products with higher noise emissions and less critical measurement accuracy. State of the art transducers for laboratory measurement of products with very low noise emissions. MIRE kits utilize miniature microphone capsules that fits under a hearing protector or in the ear canal. G.R.A.S. calibrators provide a traceable daily calibration reference for your acoustic measurement system. G.R.A.S. sound intensity probes are compatible with our Trident software application, including support for 3D and wide band sound intensity measurement. G.R.A.S. provides a full line of test fixtures to support acoustic measurement, recording and auditory measurement applications. The ear simulator is designed to resonate in the same way that the human ear does, which gives accurate results without the need for more expensive and bulky mannequins when performing audiometer calibration or production line testing of headphones or headsets. Basic sound level measurement, pre-compliance testing, and end of line manufacturing tests on small products and equipment. Our turnkey systems use notebook computer by Dell and Hewlett Packard to insure compatibility with all National Instruments drivers and our Trident software application. VIacoustics provides fully integrated acoustic measurement systems with a personal computer as a host, and insure compatibility with all hardware and software. This desktop microphone is used in the REAT system to talk to test subjects from the control room. 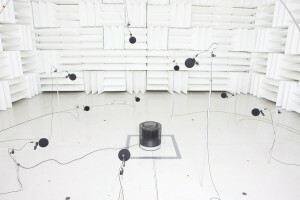 It has a push-to-talk button, which is integrated into the system to control muting of the boundary microphone in the testing room and eliminate feedback. The Furman Elite Power Conditioner is used in REAT systems to ensure stable power and reduce electrical noise to all components of the system. These amplifiers are used in our REAT systems for talk-back and talk-forward microphones, and support muting via external switch. This is useful to avoid feedback when communicating back and forth between testing and control rooms. Paired with our custom built high-power attenuator, this amplifier supplies the power to generate a sound field with a noise floor below the threshold of human hearing, which is necessary for Real Ear Attenuation at Threshold (REAT) test systems. Interfaces with optical and mechanical switches, controls L-pad via software, and controls muting of intercom in REAT systems. Our custom built High-Power Attenuators provide up to 30dB of attenuation. Combined with the high power a Bryston 6BSST² Three-Channel Amplifier we can reduce the noise floor of the sound field to below the threshold of hearing, which is essential for REAT testing.